Envision a garden — you probably picture rows of corn neatly spaced across a field or lettuce coming to life in large raised beds. What you might not realize is that produce can grow very well in limited spaces, too. 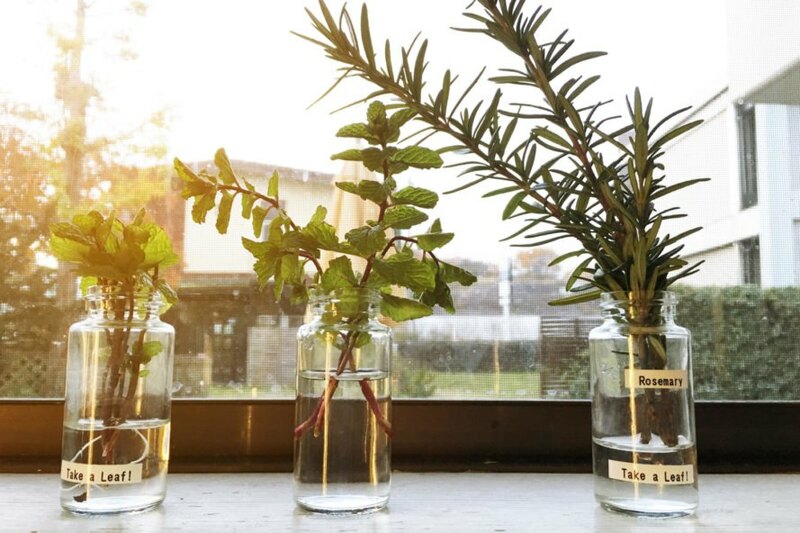 You can transform the confined windowsill in your kitchen into an oasis of herbs, greens and other goodies. In addition to growing flavorful herbs and fresh food, you also bring visual appeal to the space and produce a natural air filtration system. By growing plants organically, you know what you are eating, and you can save money. It’s also nice to be able to easily pluck fresh flowers, herbs or produce any season of the year. 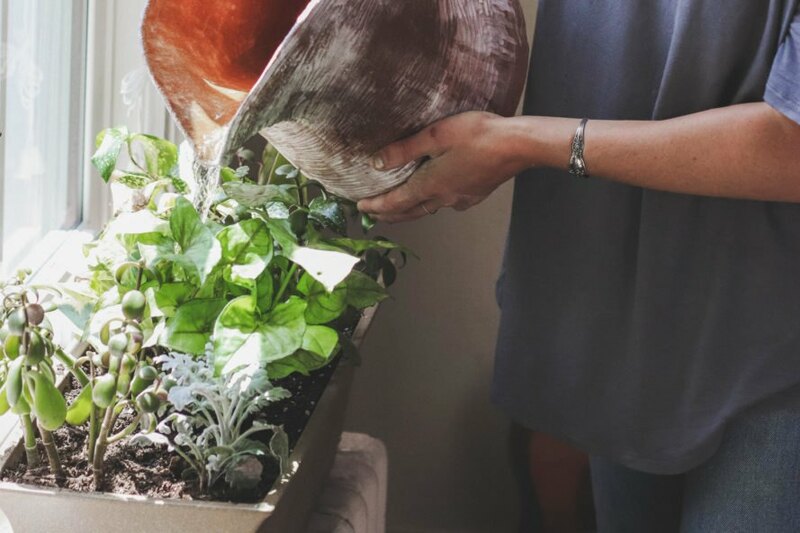 When you’re ready to tackle the challenge, here are some tips and tricks to get you started on growing your own windowsill garden. There are myriad possibilities when it comes to selecting plants for your indoor garden. First, consider your preferences. Are you looking for unique, conversation-starting plants that draw interest, or is your goal to produce as much food as you can from your space? Also think about the amount of time you can dedicate to the garden. Since vegetables need frequent attention, consider durable houseplants if you have less of a green thumb. You can start plants from seed, cuttings or plants. Plants are the easiest and most productive option. Cuttings are started from existing plants. Simply trim off a 3-4 inch section and place it into a jar or glass with the bottom in water. Change your water about once a week to avoid bacterial growth. After roots appear (in a week or two), transfer your cuttings to soil. At first, help your cutting adjust by keeping it quite moist, and then gradually cut back the water as it stabilizes in the soil. If you want to start with seeds, seed trays are a good way to develop individual plants. Use a seed soil or potting soil rather than heavy garden soil, which can be too dense for seeds to grow through. Most compact vegetables will do well in a windowsill garden. Look for dwarf varieties that remain small in size but produce a quantity similar to outdoor gardens. Snow peas, cucumbers, radishes, different types of lettuce, spinach, bush beans, green onions, garlic, chilies, sprouts and microgreens are all examples that will perform well in the right indoor conditions. Also consider porch tomato options, such as cherry tomatoes. Just about any herb will grow happily inside the kitchen. Some great options include basil, dill, cilantro, rosemary, thyme, sage, oregano, dill and tarragon. The containers you choose can make a unique, artistic statement or create a peaceful, uniform landscape. Consider whether you want them all to match or if you prefer an eclectic blend. Use terracotta pots in their natural form, or give them a fresh coat of paint. For a DIY look, cover them in chalk paint and label each pot with the plant it contains. Alternately, select your favorite ceramic pots, baskets or vases; use an old canister, tea kettle, bowls or jars; or gather standard store-bought resin planters. When choosing your planting containers, size is the biggest factor. Make sure you have room for each plant to spread out its root system without confinement. Plants will not be happy with compressed roots. Also make sure that the container you choose will fit on the windowsill. Whether you’re using a rain boot or an antique tea cup, make sure you have a drainage hole in the bottom of your container with some sort of saucer to catch the water that filters through. The location of your windowsill garden can be the difference between success and failure. South-facing windows are best, because they do not suffer from the harsh afternoon heat or struggle to find light. Many plants will thrive in an east-facing window as a second option. Wherever you locate your plants, they should receive at least 5-6 hours of direct sunlight daily. If your space doesn’t allow adequate sunshine, artificial light via heat lamps can do the trick. Set them on a timer to help you out and also to provide more consistent light for the plant. Make sure that your plants don’t come into direct contact with the cold window glass during the winter months, and protect them from the blazing greenhouse effect on hot summer days. Also stay away from areas with drafts, such as fireplaces or central heating vents. Once you’ve selected your plants, containers and location, it’s time to pamper, watch and wait. Label all of your plants for easy reference. You can also include any care instructions that you want to keep close at hand. Keep your plants moist without providing too much water. You can set up drip systems for consistent watering or simply dip your finger in each pot every few days to feel for moisture. Offer your plants fertilizer every few weeks to boost health and productivity. Watch for signs that your plants are not getting the proper amounts of food, water or sunlight, and make adjustments as needed. Related: Why are my plants turning yellow? After herbs are well-established, pinch them back frequently to encourage bushy growth and keep them from going to seed. If the air in your house is dry from a wood-burning stove or other heat source, lightly mist around your plants weekly to improve humidity. Also rinse your plants every few weeks to deter insects, and be sure to look under the leaves for evidence of bugs. When your garden is thriving, propagate your next round of plants. Take cuttings and get them in water. Cut your green onions without pulling them out of the soil, and they will regrow. After harvesting your garlic, replant individual bulbs to grow again. Windowsill gardens are a great way to enjoy your garden all year without concern for outdoor weather conditions. Plus, it keeps your harvest within arm’s reach, adds variety to your meal plan and sparks visual appeal. Start your own windowsill garden and discover the many joys of indoor gardening for yourself. 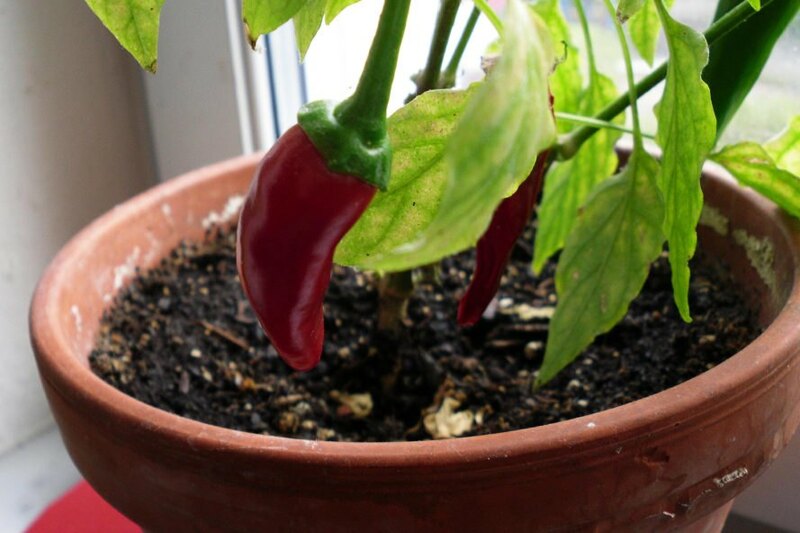 Growing a windowsill garden is a great way to access fresh produce year-round. Choose herbs, small vegetables or durable houseplants for your garden. Consider the size of your chosen plants and their roots when deciding which containers to use. Find a warm, sunny spot, preferably a south- or east-facing window. Tend to your plants carefully by watering, fertilizing, pinching and keeping an eye out for pests. 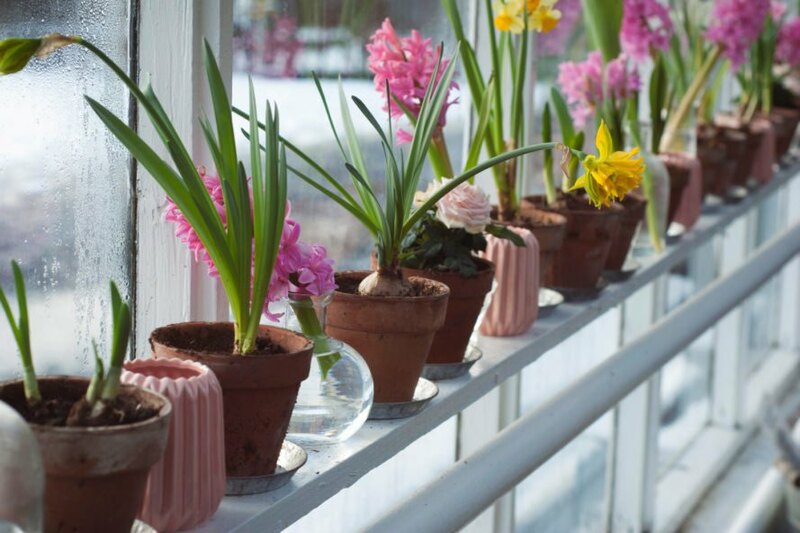 What plants will you grow in your windowsill?